Clocktower Cars boasts a fleet of 100 vehicles working 24 hours a day 7 days a week. Our fleet consists of saloons, estates, MPV’s, vehicles for up to 8 passengers and executive vehicles. We have vehicles to suit any requirement, whether you are travelling to the theatre with friends or travelling to the airport with lots of luggage. All our vehicles are licensed for private hire. 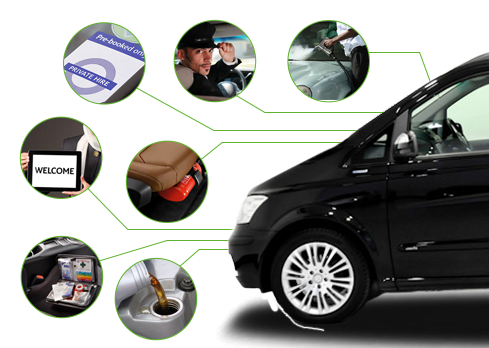 We ensure all vehicles comply with vehicle criteria, pass roadworthiness test and hold valid insurance, MOT and road tax, checking vehicle registration and that all vehicles carry a fire extinguisher and first aid kit. We only recruit new drivers with vehicles that are 6 years old or newer.